We'll start with an overhead view of the entrance area. The bulk of the buildings in the center are down in a small pit, giving a nice view walking into the park. Looking back at the entrance. We get our first view of Blaze, a B&M Floorless coaster. Brand new for the park! Looking down some of the spread out Mainstreet towards Blaze. Some really great shots of the coaster can be had from this area! Just behind Blaze's record-setting first loop lies the Midway. 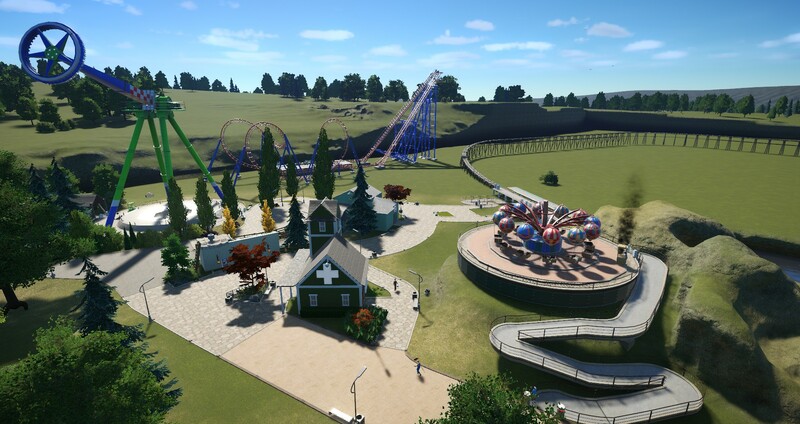 An incomplete section of the park as of now. The entrance area looks very nice so far. I like the pre-village part in front of the actual entrance to the park. Beautiful landscasping and use of foliage. Blaze looks like a thrilling, classic B&M coaster. I like how the layout is setteled at thoose two penisulas. For the realism aspect the coaster is missing a Mid Curse Brake Run. If I take a look at your layout it would be probably after the Cobra Roll instead of the actual zeroG roll. Maybe you put some more liitle details on the architecture and at the paths. Perhaps some more sinage, billboards, figuers etc., or some flower pots on the windows for example. The colors of the current park are very nice and harmonic as well. It seems you´re planing a big park project. I recommend from my own experience to finish some areas before starting another. But that´s only my personal thinking. Hello and Welcome to SGW's Planet Coaster! This is a greetings from me personally, and Matt will most certainly greet you soon as well! We're the board mods of SGW and we're happy to have new faces, and we hope for more! 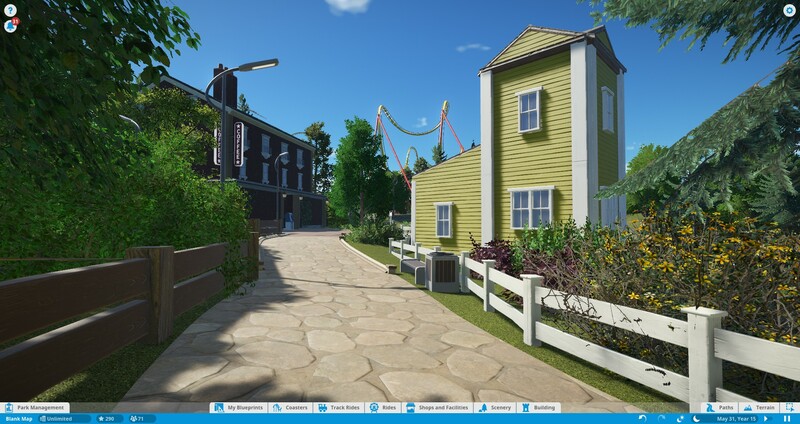 I love to work I am seeing so far, the sloping terrain for the park adds a nice touch of detail which is always awesome to see! 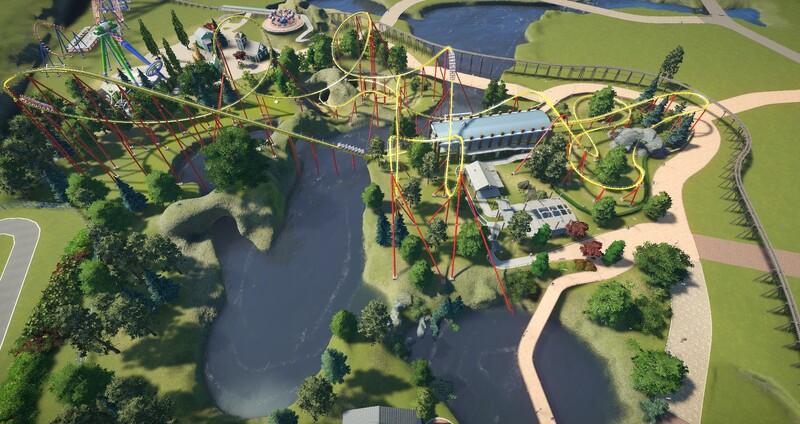 Parks aren't completely flat (Unless they make it so on their own) So it's great to see some work like this going into planet coaster! 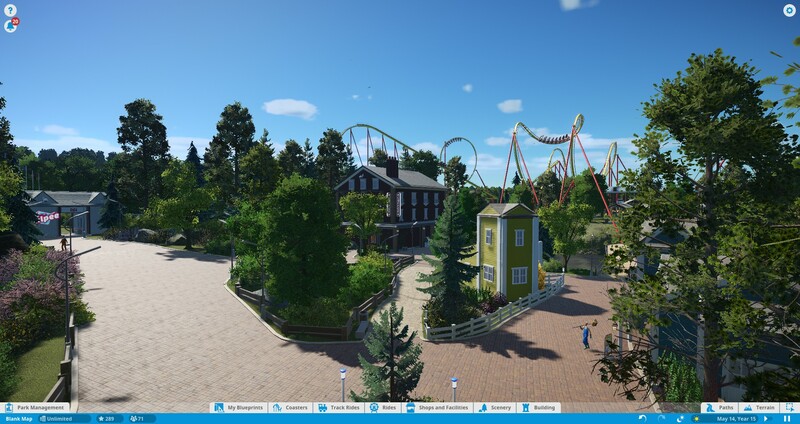 If you do want some help for Planet coaster, the Tutorials & Guides thread will most certainly help you, as there are quite a few things added there that can really take you from beginner to expert! I can safely say, that from all of the staff from Shyguy's World, Welcome! Your little entrance plaza is quite charming. Needs some more details throughout, but since you're just starting, it's solid! Lookin' forward to more and welcome to SGW (well, welcome to posting, at least). Thanks so much for the gracious responses, everyone! 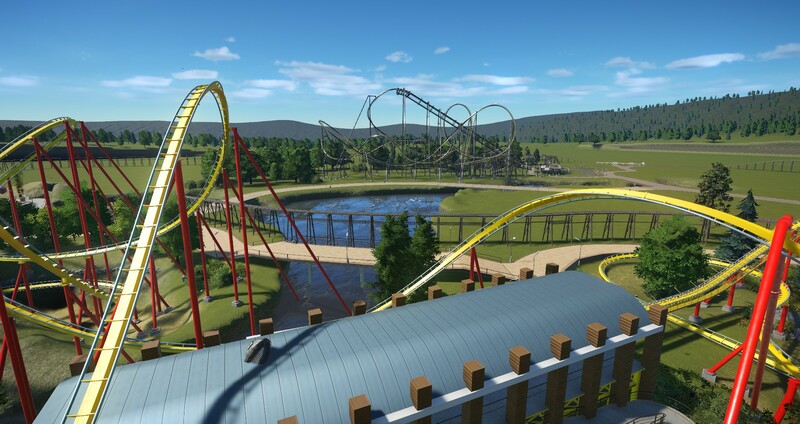 This is exactly why I started posting here, to get that extra help to push my parks into that next level of realism. zeroG: Absolutely agree. I will add in a brake run in that exact spot. At the time of building, my mindset was to keep going with as many elements as I could pack in. While it may be fun to do in a game, in real life it would never be that way haha. I have crazy ADHD sometimes so it feels impossible to finish one section of the park. 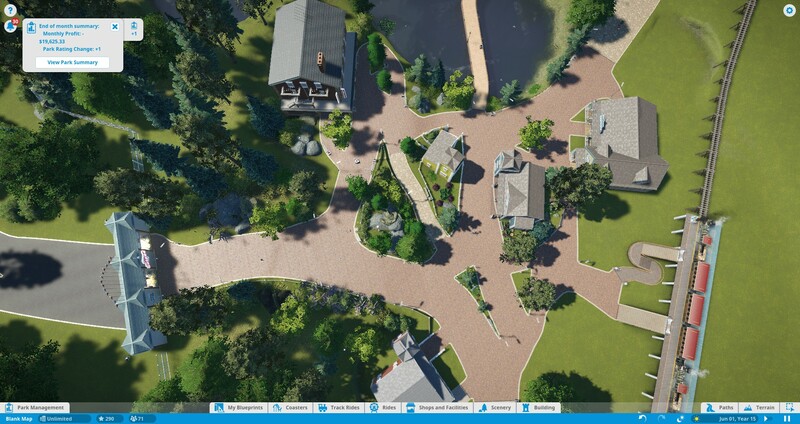 I'll be in the middle of my mainstreet when suddenly, I must build a coaster. NOW! But yes, I must focus it up haha. Appreciate the feedback! mb1.0.2: Say, thanks! I'm glad you commented, since almost everything in the park was inspired by brocoaster in some way or form lol.